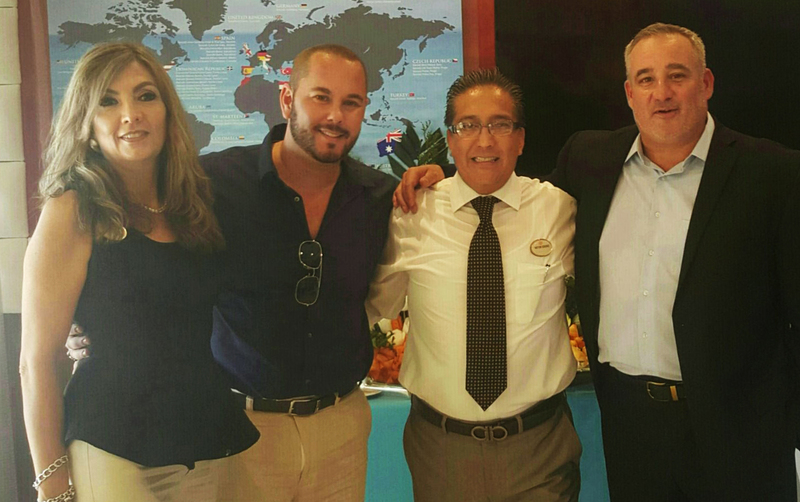 Following up on the Occidental Vacation Club growth plans, a new sales room opened at the Barceló Tucancún Beach. With Barceló Hotels and Resorts’ acquisition of Occidental Hotels and Resorts and the Occidental Vacation Club last August, the Spanish hotel company enters the timeshare/vacation club segment of the hospitality business for the first time. Occidental Vacation Club began operations in 1993 with the vision of offering an attractive and different product to the vacation club market. It has continued to innovate with a different approach to reaching out to potential clients focused on an “enhanced vacation experience” through which it offers its more than 26,500 members a personalized stay, special club check-in and check-out, high quality service and amenities, spacious rooms, and exclusive club areas like the First Club Lounge, Arena Beach Lounge, available at some resorts. At the moment, the Club has two levels of membership, the First Club and Grand Level, with plans to add an even higher level, like a Boutique-style hotel, within the resorts. The new sales room will be functioning at the Barceló Tucancún Beach with a Project Director and five sales representatives in charge of welcoming hotel guests introducing them to the features that make the club so special as well as giving them an on-site tour at one of the near-by resorts so they will be able to see it all first-hand. Barceló Hotels and Resorts is considering important renovation plans for the Occidental hotels, with a possible investment of somewhere between $120 and $150 million, while at the same time reviewing the brand structure of the Occidental properties and how it blends with the existing Barceló Hotels and Resorts portfolio. OVC includes resorts in Aruba, Costa Rica, the Dominican Republic and Mexico. The organization is heralded for being one of the first to bring all-inclusive resorts into the timeshare arena. With Occidental Hotels and Resorts recent acquisition by Barceló, the number of properties available to OVC members has increased significantly. Occidental Vacation Club offers exclusive features and amenities to its members. For information go to www.occidentalvacationclub.com. U.S and Canadian callers may call 1-888-538-8048. For more international numbers email info@ocidentalvacationclub.com. Follow on Twitter@OccidentalVC, facebook.com/occidentalvacationclub.